In the world's imagination, the Old West has always been tightly tied to the creation and the expansion of the United States. Stories of Native Americans, Cowboys, gunslingers and outlaws have forged how the US are seen by the outside, almost as much as how the American people see themselves. This series is about the roots of history, how a modern country and people get shaped by hardship, hard work, dedication and the will of a few special people as much as that of the mass. How those who became ghosts are still here to haunt us, and how we can still find these roots in some of the Ghost Towns out West. 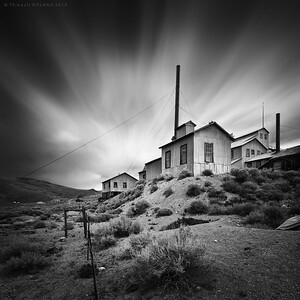 Factory - Bodie Ghost Town Study #1. Mono County, California, USA 2014. 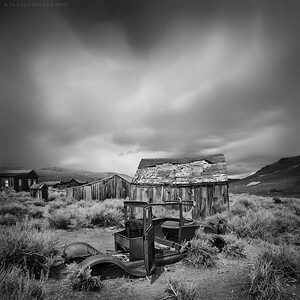 Ghost car - Bodie Ghost Town Study #2. 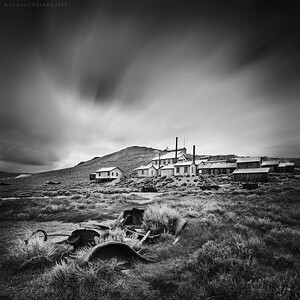 Car Factory - Bodie Ghost Town Study #3.